You tried every button combination possible, and yet your Android device is still stuck. You can't turn it on, and the phone is showing nothing but the phrase Android System Recovery on the screen. What happened? How to turn it on? Did you just lose all of your important data? And the most important question is, how to fix Android Stuck in recovery mode on Samsung Galaxy/Note, Huawei, HTC and other Android phones? 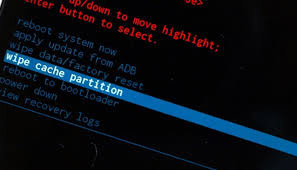 Even though we are here to discuss the dark side of System Recovery, it's a very useful feature of Android platform. The true purpose of the feature is to help users to hard reset their devices without having to access the settings. If your device is not working properly or the touch screen is problematic, and you can't access the settings, you can use this feature to correct the wrongs. It's like the emergency solution when everything else fails. First, turn off your device using the power button, or plug out the battery if you couldn't use the power button. Then, after the device is completely turned off, press the power and volume up button simultaneously. You should see the Start banner at the top of the screen. Use the volume buttons to navigate to the Recovery mode screen, and use the power button to select it. You could reach this screen by pressing the volume down button twice from the initial Start screen. You will arrive at the No command screen. Proceed by pressing the Power and Volume Up keys for around 3 seconds, then let go the Volume Up key but keep holding the Power key. The system will reveal the Android Recovery options. Again, use the volume keys to navigate and the power key to select. But it's troublesome when your last resource is also failing on you, isn't it? You can use the following method to reset the device to factory settings and get out of the system recovery screen stuck. Again, due to the variations of Android versions, there might be differences in the process. Always check out your device's manual or do some Googling before proceeding. First, power off the device and pull out the battery just to make sure. Wait a few seconds before re-inserting the battery. Then continue with similar steps described previously to access System Recovery screen. Navigate to the Wipe Data/Factory Reset > Delete All User Data using the Volume keys and select it using the Power button. The system will ask you to reboot. Press the Power button to reboot your device in normal mode and everything should be back to normal. But your data would be lost. If you don't want to lose your data, it's important to back it up before doing the system reset. You can use the backup to restore everything after the reset. Android System Recovery provides you with the method to backup and restore your data from its screen. All of the data will be saved to and restored from the SD card. But you don't want to put all of your eggs in one basket, do you? It's wise to keep multiple instances of backups on different devices just to stay safe. 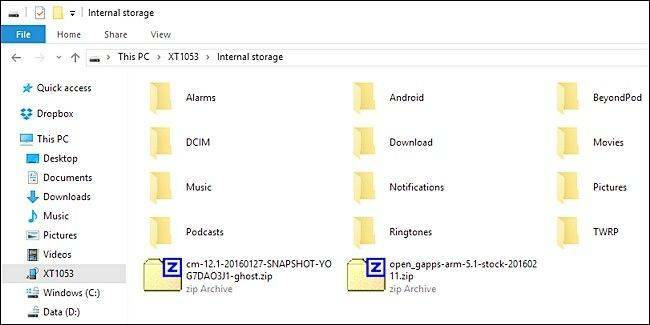 And the easiest way to do so is using Tenorshare Android Data Recovery to help you back up to your computer and restore your phone data in no time.